Horten, Norway, 4 April 2019 – Alongside the cutting-edge new HUGIN Superior AUV (Autonomous Underwater Vehicle) and its extensive portfolio of established and market-leading solutions for commercial and scientific subsea applications, Kongsberg Maritime is gearing up to unveil several new products at Ocean Business 2019, which takes place at Southampton’s National Oceanography Centre next week (9-11 April). 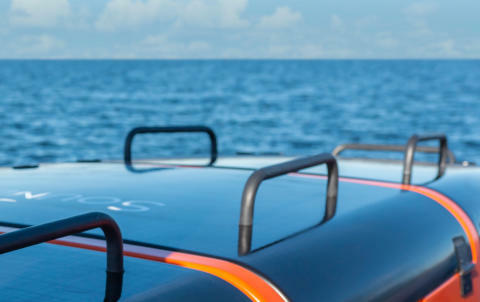 With on-water demonstrations throughout Ocean Business, visitors will have plenty of opportunity to see the brand-new GeoPulse USV (Unmanned Surface Vehicle) in action. KONGSBERG's new Unmanned Surface Vehicle is designed for surveying in locations and situations in which deployment of conventional platforms is not practicable. It features the newest model in the acclaimed range of GeoPulse sub-bottom profilers, the GeoPulse Compact. 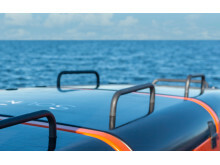 Inside, the KONGSBERG stand (N1) will feature a model of the new Sounder USV, an autonomous platform built from the ground up to accommodate flexible sensor payloads and diverse applications including fishery research. Launched at Ocean Business, the Sounder USV is a state-of-the-art solution capable of following survey patterns, autonomously following AUVs or simply tracking a mothership. KONGSBERG will also introduce a ground-breaking new ocean ecosystem assessment platform – an integration of a wideband combined ADCP (Acoustic Doppler Current Profiler) and split-beam transducer option with the industry benchmark Simrad EK80 scientific echo sounder. The combination reduces CAPEX and improves utility, while enabling a greater understanding of the impacts of climate change and ocean acidification. Elsewhere on stand N1, KONGSBERG will show the innovative Mapping Cloud solution, a radical, cloud-based platform for the real-time visualisation, analysis and sharing of multibeam bathymetric data. Mapping Cloud allows different data formats to be easily stored and managed and is the ideal partner for KONGSBERG’s EM 2040P MKII shallow-water multibeam echo sounder, updates of which will also be shown at Ocean Business. Other technologies to be featured at Ocean Business include the latest, upgraded versions of the small-footprint cNODE Embed micro transponder; HAIN (Hydroacoustic Aided Inertial Navigation) systems; the cPAP MkII LBL subsea transceiver for positioning of ROVs and other underwater umbilical-connected vehicles or modules; and the HiPAP acoustic underwater navigation and positioning systems.